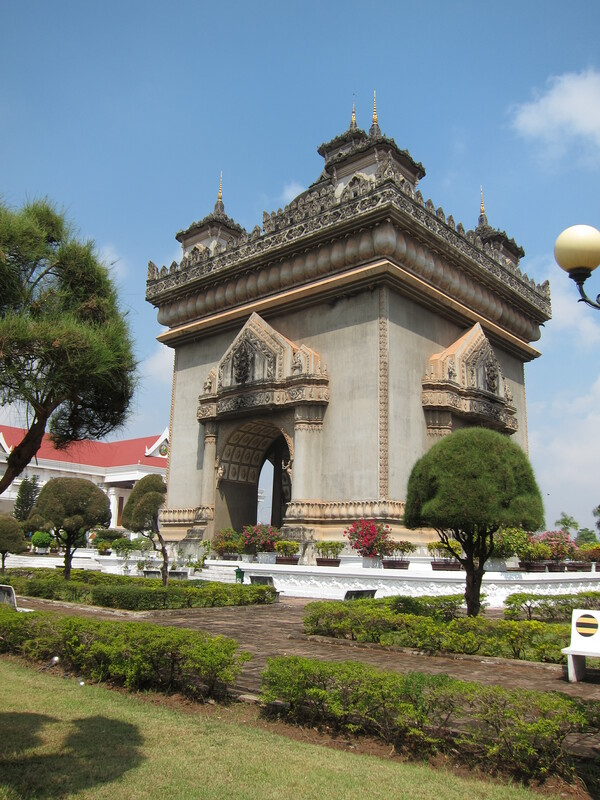 Victory Monument, Vientiane’s version of Paris’s Arc de Triomphe. 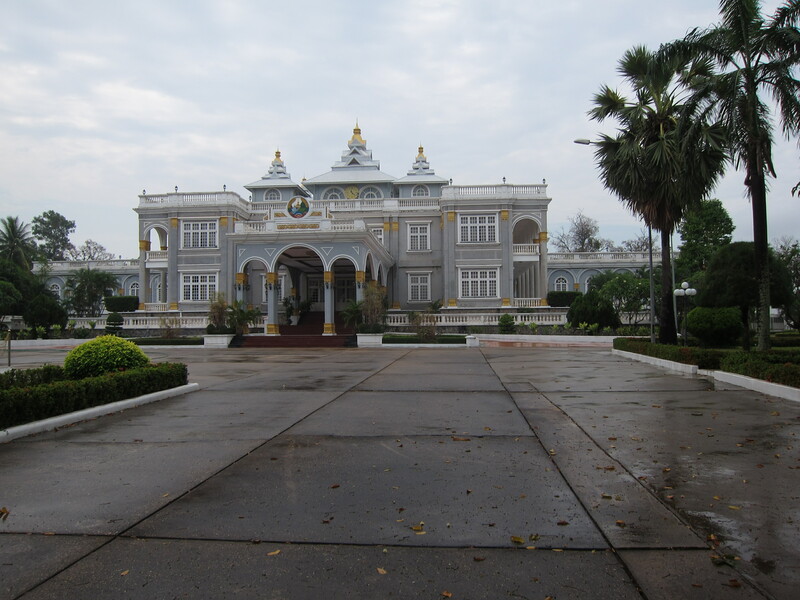 Vientiane is the small, slow-paced capital city of Laos. 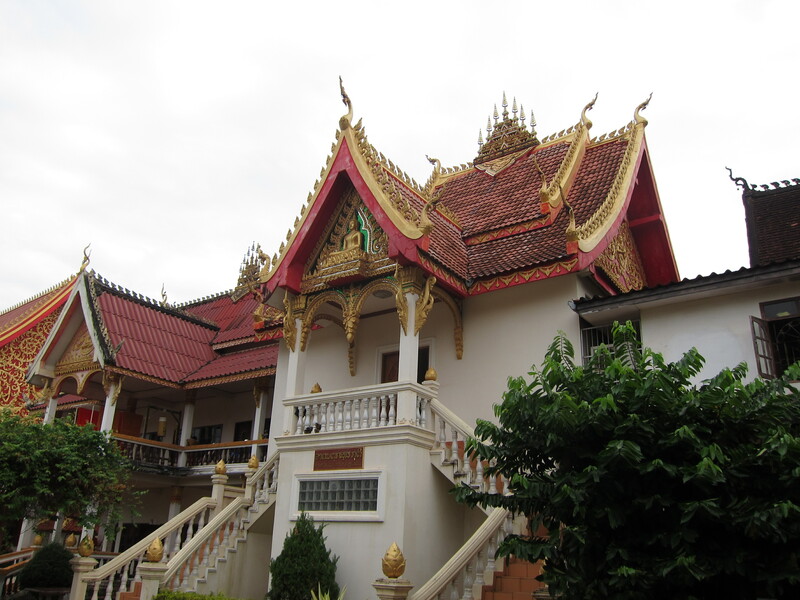 It is located on a bend in the Mekong, across the river from northeastern Thailand. Crossing the downtown main streets was a breeze, since even during “rush hour” (if you could call it that) the traffic was not overwhelming. The noteworthy sights were concentrated in a small area of the city, and there were but a few. Of course there were several Buddhist Wats, large and small, and a number of government buildings, some of which I passed during my daily walks around town. I enjoyed seeing the various quaint old French colonial buildings. 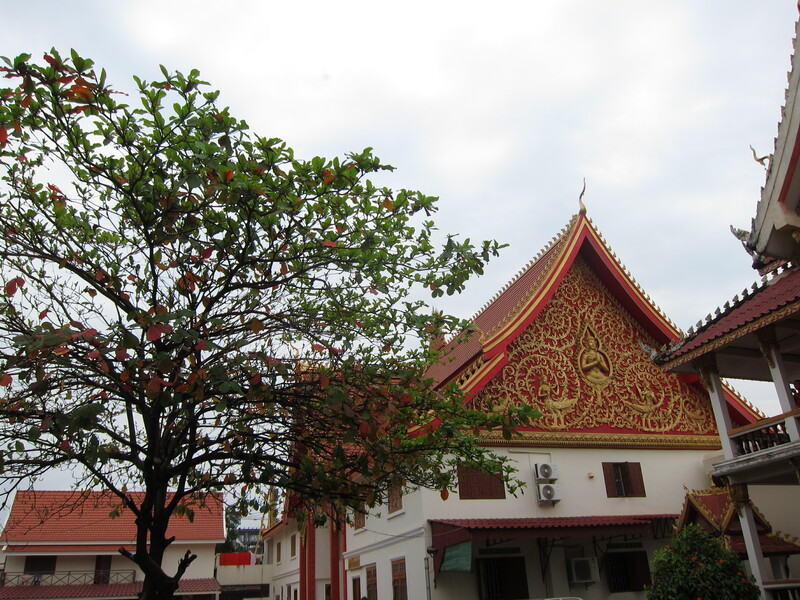 But for me, the most interesting aspect of Vientiane was that it was fairly uninteresting. 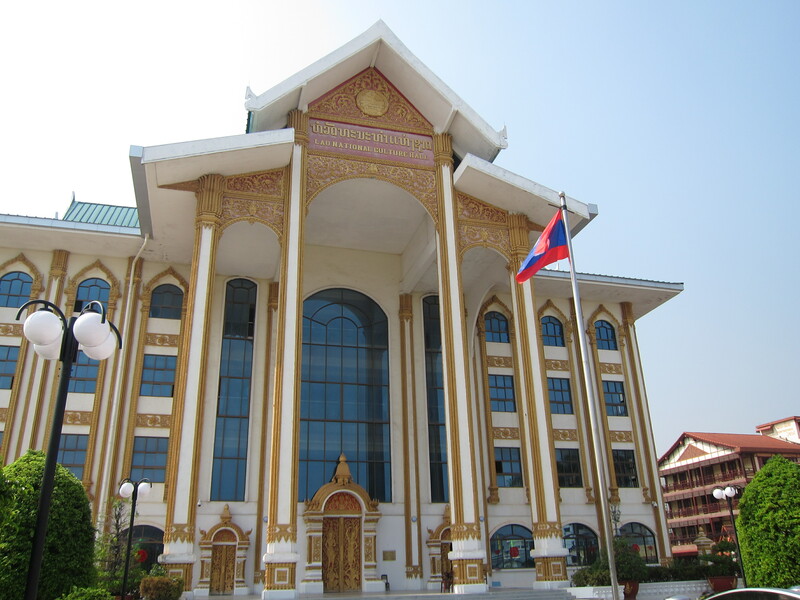 The gigantic Lao National Cultural Hall. That’s not to say there was nothing to do here. Despite its small size and relaxed pace, Vientiane boasts a range of cuisine to spark the envy of cities much larger. Many of its French restaurants are highly regarded, and I took note of a number of Italian, Indian, and even Mexican options. My favorite Vientiane food: warm, crispy French baguettes and croissants. 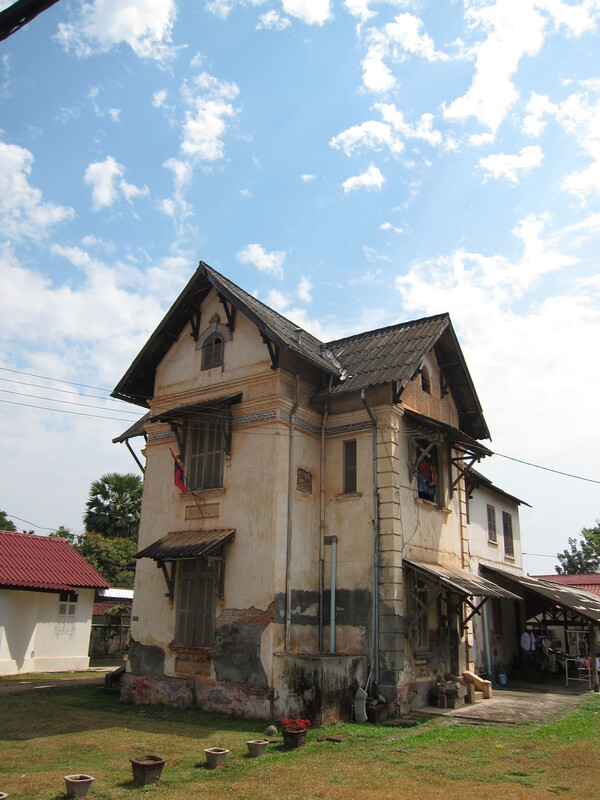 An interesting looking structure, Vientiane. Near my hotel I found a small shop, owned by a Frenchwoman, that offered a selection of several Lao and foreign teas and I dropped by on a few occasions to try some northern Lao teas. Orange! Found in local handicrafts and antiques shop, Vientiane. 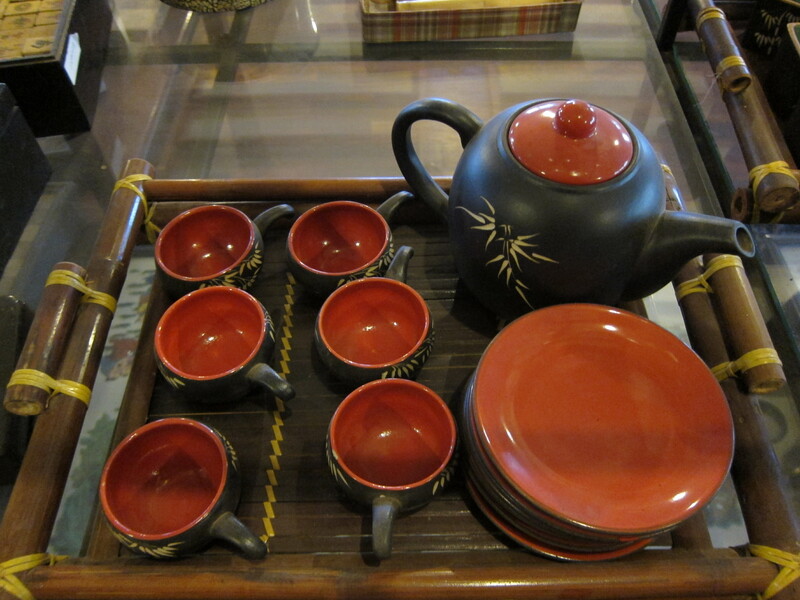 I passed several storefront shops selling handicrafts of various sorts. Taking shelter from a sudden morning downpour, I stepped into one of these shops (I can’t recall the name now) and sat for a while at its upstairs cafe overlooking the street. Back in the shop downstairs I got lost amid the giant carved wooden sculptures, antique Chinese Mahjong games and colorful tea sets. 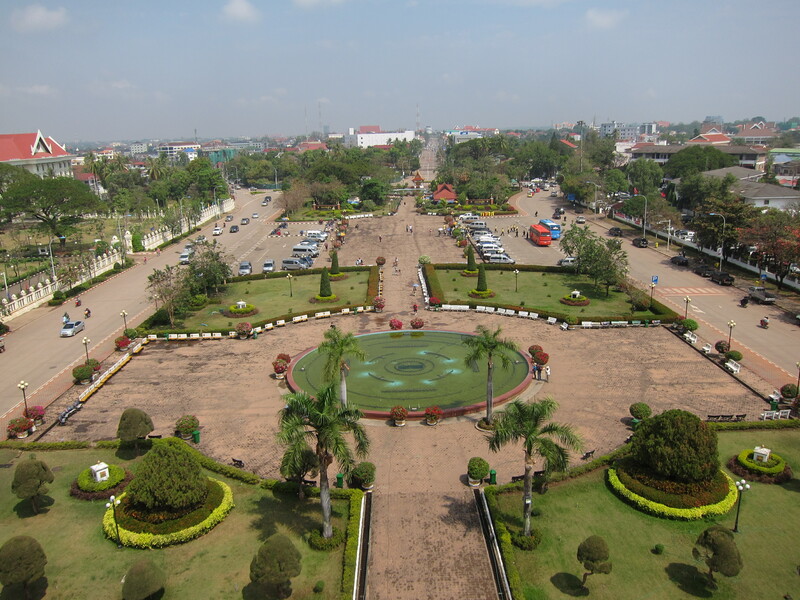 View from the top of the Victory Monument, Vientiane.